Is your dog just a big old brute? 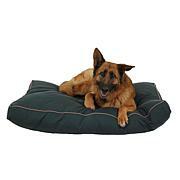 Treat him to a comfy bed that can handle the rough stuff, like this tuff comfy cup bed from Carolina Pet Company. 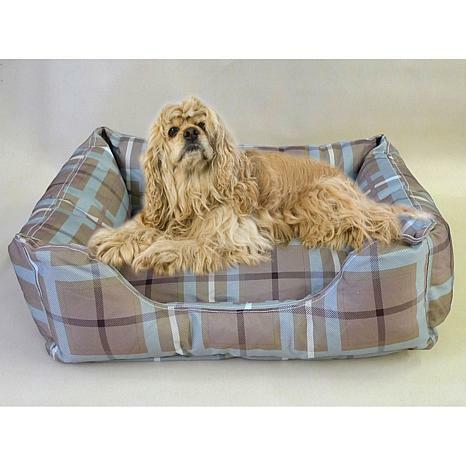 A rectangular step-in profile lets your pet snuggle in with ease, while the super tough poly fabric holds up to clawing and chewing. Best of all, the cover is machine washable so his bed can smell nice and fresh ... even if he doesn't. 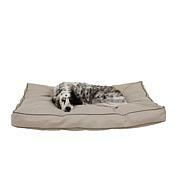 100% hi-loft polyester fill holds shape and resists compression while allowing the pet to “nest"
Let your dog curl up in this comfy bed to rest and get away from it all. 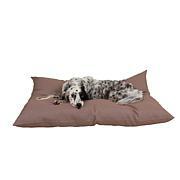 Perfect for your pooch, she can lay in the middle or sprawl across it for her comfort, while the contrasting cording adds a touch of elegance for you. 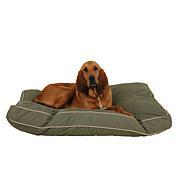 She's sure to enjoy the soft cover under her as she lays down to nap.